Last week when I was making the Pou Bento, I thought to roll the cheese I’d cut out with a coffee straw to make rounder eyeballs, which of course led me to thinking about making bigger eyeballs for a really gross Halloween bento! Yeewww, right? They turned out delightfully disgusting! 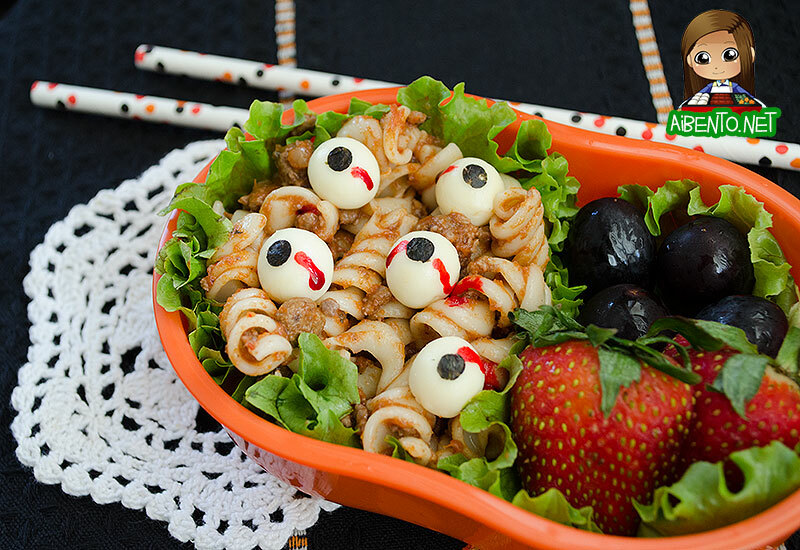 The rotini pasta only adds to the look, as it looks like the eyeballs are resting on guts! Muahahaha! 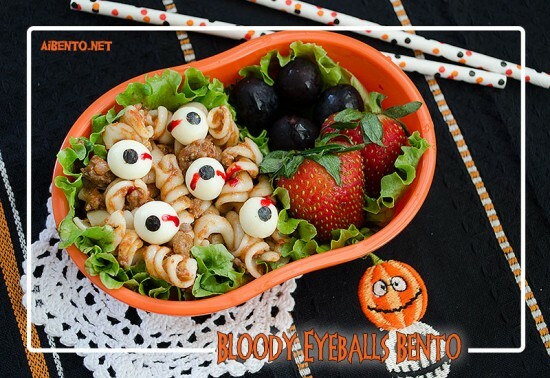 The eyeballs are made out of cheese and nori with food coloring drops for creepy effect. Obviously this is a great way to make eyes for cute character too though, so I’ll definitely be using this technique going forward. Tutorial on exactly how I made them coming tomorrow.